Shisui Hyuga "Twilight in Hamarikyu" - Woodblock - Chinese and Japanese woodblock prints for sale, silkscreen, scrolls, watercolor, lithographs. 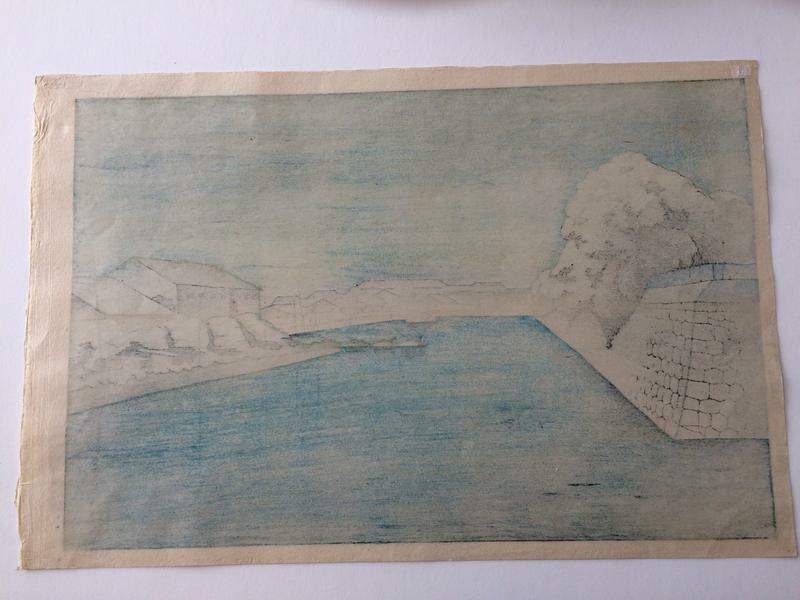 Artwork Details for Shisui Hyuga "Twilight in Hamarikyu"
Notes: Genuine pre-war strike, rarely seen. Doi Sadaichi publisher seal in the right margin, along with Kataoka carver seal and Yokoi printer seal. 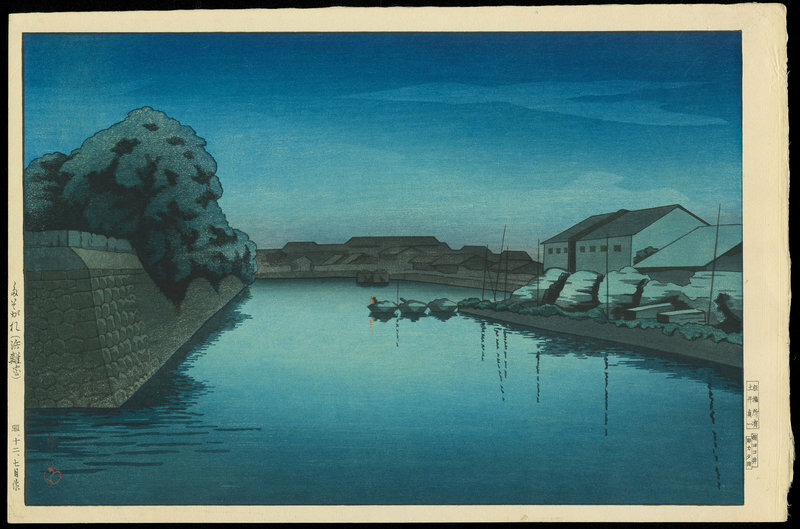 Hyuga Shisui should not be confused with Nagahara Shisui (1864 -1930) who died before this print was published.